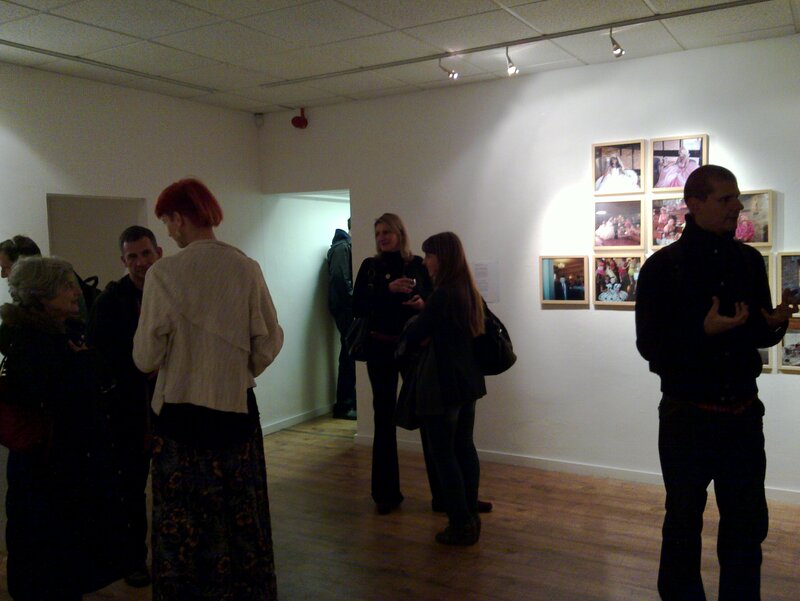 Eva Sajovic has emailed to say that her phenomenal and moving exhibition about the lives of the travelling community now has two new exciting venues. If you missed it the first time around, you now have an opportunity to see the work of an extraordinarily talented artist as she brings to life stories that would ordinarily be lost to most of us, even though they are written in the fabric of the community about us. Be-Longing: Travellers’ Stories, Travellers’ Lives, the ground breaking exhibition from Slovenian photographer Eva Sajovic, is in its final week at the 198. There are two events being held. 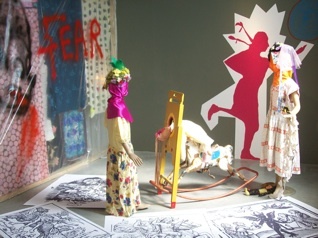 The final day of the exhibition is Saturday 20 March, 11am-5pm, with music provided by DJ Damian Le Bas, 6-9pm. Don’t let the opportunity to see this ground-breaking exhibition from a highly talented artist pass you by. Eva Sajovic’s “Be-Longing” exhibition is still running at the 198. On Tuesday there is an all-day seminar on the future of travelling communities, chaired by Brian Foster of the Inner London Traveller Education Consortium. Better community understanding depends on people being prepared to take an interest in things that at first seem one removed from their immediate environment. Book yourself a place by emailing info@198.org.uk. Readers may be interested to know that Eva Sajovic, the Slovenian photographer I’ve been writing about, has her own blog. Please check it out. Please stop by and take a look. News of two workshops being run at Eva Sajovic’s “Be-Longing” exhibition at 198. Delaine Le Bas is part of the UK Romany community. In her works she explores many of the experiences of intolerance, misrepresentation, transitional displacement and homelessness that the community continues to experience. She uses multi media creating installations that include performance and music. 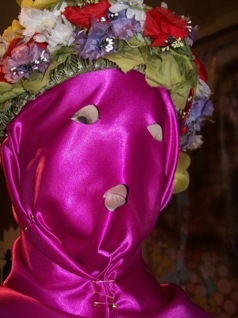 Le Bas’ work was included in Paradise Lost, The First Roma Pavilion, Venice Biennale 2007; Refusing Exclusion, Prague Biennale 3, Prague 2007; Living Together, Museo De Arte Contemporeanea De Vigo, Spain, 2009 (curated by Emma Dexter and Xabier Arakistain). Her most recent exhibition was Foreigners Everywhere, with Claire Fontaine, Karl Holmqvist and Damian Le Bas at Dvir Gallery, Tel Aviv. She is included in Sixty: Innovators Shaping Our Creative Future by Thames & Hudson. Delaine Le Bas is represented by Galleria Sonia Rosso, Turin and Galerie Giti Nourbakhsch, Berlin. Delaine is inviting people to join her for a workshop to create a piece for the gallery window cabinets, exploring the themes of Eva Sajovic’s “Be-Longing: Traveller’s Stories, Traveller’s Lives”: BELONGING, IDENTITY, MIGRATION, COMMUNITY, DIASPORA. Delaine is asking participants to bring objects and images related to these ideas to contribute to the installation that will be created at the workshop. See more examples of her work on Flickr. This seminar will be chaired by leading Gypsy Journalist Jake Bowers. After growing up on the road as one of 17 children, increasingly hostile public attitudes and the impending arrival of the first of his three children pushed him into a more settled life. He now runs the Gypsy Media Company, providing education about Gypsies and Travellers through media, and presents Rokker Radio, a BBC programme for the travelling community. 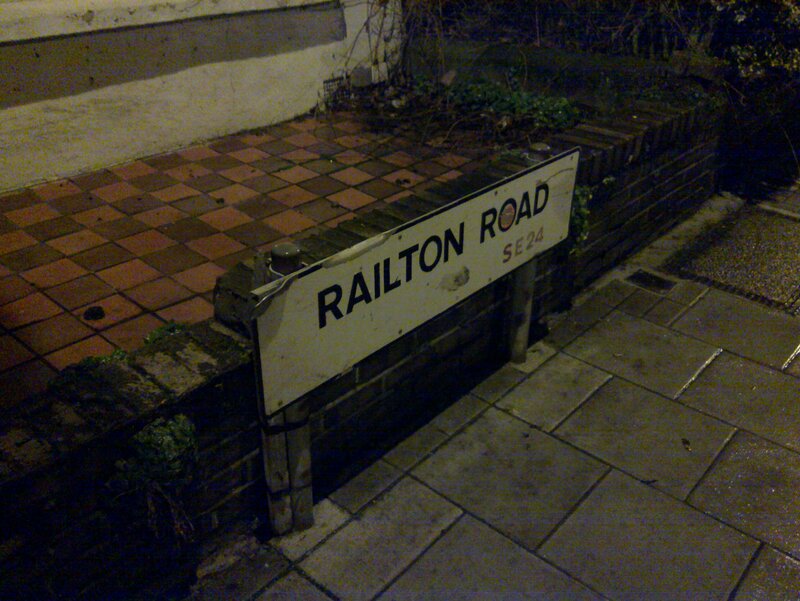 Wednesday evening, after work, I took a taxi to 198 Railton Road, home to 198 Contemporary Arts and Learning. A few days earlier I had received an invitation to the preview of its new exhibition of photographs by Eva Sajovic, the Slovenian artist I have blogged about previously. Sajovic’s exhibition, focused as it is on the experiences of Gypsies, Roma and Travellers in the United Kingdom, Italy and Slovenia, could not find a more appropriate home. The minimalist, white-washed lines of the 198 are the perfect contrast with Sajovic’s vibrant pictures that capture the raw and sometimes confused emotions that arise at the intersection of diverse migratory cultures and the settled community. Perhaps most humbling is the sheer force of will required by Gypsies, Roma and Travellers to maintain their traditions and social structures in the face of overwhelming hostility, mistrust and misrepresentation. As Sajovic’s pictures, and their accompanying stories remind us, the persecution of difference is as great today as ever it was – the UK, Italy and Slovenia representative of European societies where society appears to deem it acceptable to discriminate against travelling communities in a way that it would not contemplate with those from other minorities. An exhibition of photographers of travelling communities may not be the first thing that comes to mind when thinking how to spend a couple of hours of an evening. However, this initiative represents another small but very important step in helping to foster understanding between settled and travelling traditions that are steeped in a mutual suspicion that is centuries-old. Be adventurous and give it a go – and see something special from an exciting new talent. And enjoy Brixton and the 198. 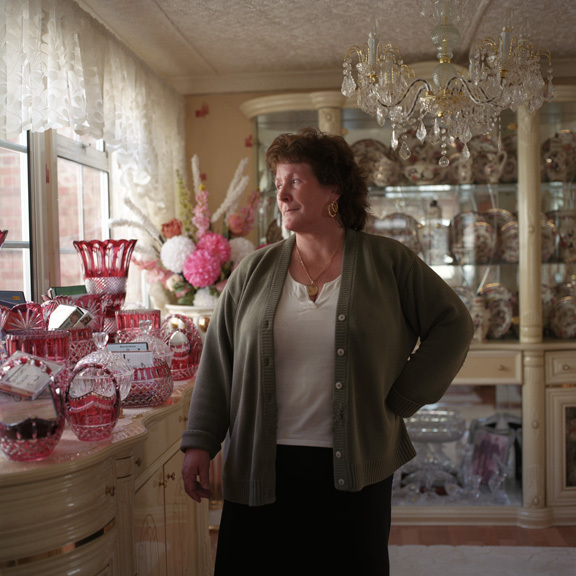 Ten days ago I blogged about the exciting upcoming exhibition from Eva Sajovic, the Slovenian photographer who has worked extensively with Gypsies, Roma and Travellers, including Traveller families from Basildon, for the past two years. Seminar exploring the role of photography and other artistic media in challenging stereotypes and prejudice. For more details please read the full text of her press release.